If you’re looking for a cleaning service par excellence in the Stoke Bishop and Sneyd Park area, you should look no further than us. From a one-off spring clean or deep clean, to a regular home or office clean, our cleaners provide a clean and safe service. 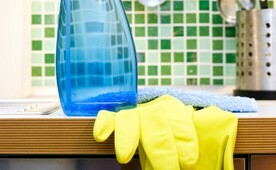 Our expert cleaners are fully vetted, and deliver a prompt and efficient cleaning job. Additionally, all our cleaning services are offered with an in-depth service guarantee, to give you confidence in a quality job. So you’ll know in advance how much a cleaning service will cost, speak to our cleaning advisors about your individual requirements. We’ll promptly customise our service to you and provide a free, no obligation quote that exceeds your expectations. Speak to our local team today for a free quote. Give us a call right now on 0117 345 9015.